As an adult, Amir (Khlaid Abdalla), living in the US, gets a message from a childhood companion from Afghanistan asking him to save his child from the atrocities. Amir reflects on his past, and the betrayal that ended the friendship. He knows the only way he can make up for his past behaviour is to return to his homeland and resolve the past. It’s a highly praised film, based on a book by Khaled Hosseini, that looks into a world that many of us in the west do not see. But it is not a film about Afghanistan; while the location and culture are crucial to the story, that is simply the main location. It is a film about Amir and his past. For this, it is a good read. It’s clear and direct, if a little over simplified. But without a doubt, it is a beautiful film. Especially the kite shots. 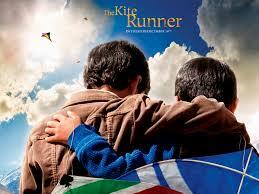 The Kite Runner was nominated for an Oscar for Best Achievement in Music Written for Motion Pictures, Original Score.